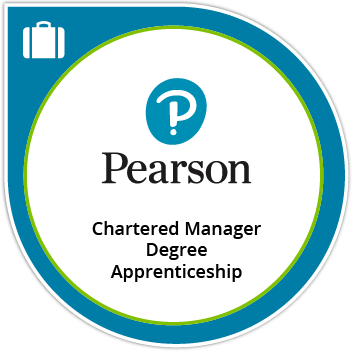 Earners of the Pearson Chartered Manager Degree Apprenticeship badge have successfully completed the Chartered Manager Degree Pearson apprenticeship. Chartered managers are able to take responsibility for people, projects, operations and/or services to deliver long-term organisational success. They are also able to deliver impact, behave ethically, and demonstrate their commitment to continual learning and development.